Whenever you notice a great topic on a certain blog, you sure want to thank the person who wrote it because it proves useful to you. A little word of thanks takes the person to a new height of encouragement, and we can easily do that leaving comments on their blog. It is a great way of socializing and building up relationships. You never know when the person you thanked mails you in return and expresses his gratitude (and builds relationship in the long run). Did you know that Blog Commenting can also be used to generate quality traffic to your site? Can It help you building quality backlinks that Google cares and ranks your site? 1 Does Blog Commenting Work for Ranking? 2 You Can Also Generate Huge Traffic! Does Blog Commenting Work for Ranking? Well, some people say that blog commenting doesn’t work anymore! Believe me, either they are lying, or they are saying it blindly without even trying. You can check this article to know more about the importance of Blog commenting to rank your site. You can also check the top-ranked website for mid competitive keywords, analyze the backlink profile using OpenSiteExplorer or Ahrefs. I’m pretty sure you will see a lot of backlinks generated from blog comments. And these sites are in the top! You Can Also Generate Huge Traffic! Commenting on Blogs can also be a great source of traffic for your own blog. If you comment on a blog which is related to your own topic, there is a high chance that visitors will check out your blog as well besides reading the one you are commenting on. Sometimes the comment you leave on an interesting blog might pique the interests of others. There are instances when a simple comment turns into a discussion topic for people (Check Pat Flynn’s SmartPassiveIncome and Spencer’s NichePursuits as an example!). We should take up blog commenting as a part of our regime to drive traffic and to improve our Search Engine Positions keeping these small milestones in mind. However, there are some things you need to keep in mind while doing blog comments for your own benefit. Let us go over the do’s and the don’ts of blog commenting in the later section of the post. There are some bloggers who don’t think too much about whether you are a real person or a brand trying to make its way through. But, using your real identity while appreciating others’ work or promoting your own brand or doing both at the same time is vital. You will be surprised to see how much people value a real person. Using a real identity can be the fact separating you from being a spammer and a respected member of the discussion group. Even if you are someone new to a particular place, people will trust and rely on you more if you use your real name and other credentials. Using Your Keywords or any other term instead of your real name not only will ruin your reputation but also the efforts will be waste of time as webmasters generally reject such comments. Let me think that you are in a community where you have never been before. The experience is totally new for you, and you bump into a post that matches your interest in the website. Would you leap into “Doing your Thing” and commenting straight away? That would not be the best course of action on this occasion. I advise you to read the previous posts made by the author in the same website. The more you read, the closer you get to the author’s psyche. You will understand the interests, the ways of thinking and the writing style of the author that will prompt you into commenting on his post in an impactful way. Well, this is another basic of a good blog commenter. An Expert Blog Commenter will read the popular posts of a blog with good comments. If you are new at a certain community, it is a must for you. By reading other people’s comments, you will get to know their tone, their interests and above all, how they present themselves in the community. You can just replica other people’s comment adding something unique and using your own tone! The topic you have selected to comment on is appealing, no doubt. You have knowledge on the field you are commenting on, great! You have read about the author and the topic, even better! It has been quite some time for you in this community, Perfect! However, there is still something you need to check. That is, “Has your point already been made?” It is no use bringing up the same issue that one has already brought up. So, pay close attention to that. The only way to know for sure if your point has already been made by someone is to go through all the comments beneath a certain blog post. Generally, blog commenter fixes their own length of comments. But ideal length is between a long tweet (which is 140 characters) and a short blog post (generally 200 – 300 words). The length should be enough to make a substantial point about the post which improves its quality. You may express your own opinion and drop a reference link. If you feel the topic need further elaboration, you are welcome to write about it in your own blog. The author of the blog you are commenting on might edit his post and include your bit of the information along with your blog as a reference link! At any case, refrain from simply dropping links randomly. Thinking of writing “Oh! What a great post this is and I am glad I found your post on the topic that I was looking for?” Drop the idea. Writing such a sentence would pose you as a spammer in the eyes of the community members. Even if you are not a spammer, you will be treated as one. It will do you a world of good if you can contribute to the post in an actual manner rather than posting some general messages like the one I’ve shown you. When participating in other people’s discussions through comments, nothing beats the strategy of being a good listener. Trust me when I say, “If you listen to people, they’ll listen to you.” Be interactive. Discuss the issue with others through comments. Take their points into consideration and make your Point Clear to them. If You Decide to Link Your Own Post Into the Comment, Make Sure you Do It only Once! You read it right. If you are commenting on an important issue, you can support your argument or point via reference links as I earlier mentioned. People go for one, two or even three links inside their comments. But it is best for them to have actually one link in the comment section. That link can be any website you are using as reference even your own. This is another great strategy to get your comment noticed. You found a post interesting and commented on it. So why not promote the post publicly through your social media accounts? This way, more people will know about your post and the comment you made on it. You can also tag the original blog authors on the social media post; you will surely get some natural link from the site next time! It has been fun talking to you guys through the post. Feel free to include your suggestions, would love to discuss more about them. I would agree that blog commenting is not dead! I have noticed a ton of traffic to my blog from commenting. We look at our referrals and look at the bounce rates and time on site as an indication of an audience that is interested in our content! Thanks for the heads up, Scott! From where you have noticed the traffic, please let me know I also want to know the site of traffic tracking. You have checked through backlinks or there are other ways aswell. This great article post is proof that commenting as a SEO tactic is not dead. I subscribe to a number of high end SEO experts and their very popular marketing blogs to learn the latest SEO strategies to test on my own website properties, but I also make sure to be an active member of the blog community. The comments that I post on popular SEO blogs send a fair amount of traffic to my marketing website and blog. I hope the explanation of this article in clarifying, I’ve tried to understand but not yet understand what you write. I precisely desired to thank you very much once more. I’m not certain the things I might have implemented without those tactics discussed by you concerning such situation. It actually was a difficult problem for me personally, but observing this specialized way you handled that made me to weep for joy. Now i am happier for the advice and thus wish you really know what a powerful job you are always doing teaching many people through your websites. I am certain you have never got to know any of us. ” Get Involved in Conversations ” its a surprising idea !!! Thanks for the post. I am confused to start blog commenting. That’s right track for me start. I was just over on Neil Patel’s blog (Which is how I found yours) and he said that blog commenting will not increase your search ranking. He said they are generally no follow links. Is that not the case? You have found blog commenting increases your search rankings? Or did I just misunderstand? Blog Commenting can raise your search engine rankings if done properly. You don’t want to go after blogs that are not relevant to your target site. Also, you want to provide some kind of real value to the comments section. IF you just comment and say “Thanks (Link)” often times you’ll find that the comment doesn’t get approved and you just wasted your time… That being said, I wouldn’t rely on blog commenting to be your only SEO strategy as it plays a VERY minor part of the total effectiveness in a campaign it can definitely help diversify your links as well as your anchor text. Backlinks affect your blog mainly in two different ways. First is the authority of the site you are commenting on. If that site is well established and authoritative, some of that authority/trust will be transferred over to you blog, giving you a boost to ranking. This will only happen if the link is “do-follow”. However, “no-follow” links, on the contrary to what most of the people believe, also give you a boost to ranking, but not through the transfer of authority or trust. “No-follow” links provide relevancy to you blog. Relevancy will boost your ranking only if the site you are commenting on has keywords you want to rank for in the url or title. Find blogs or forums that meet this criteria and I guarantee you that you will increase in search rankings, no matter if all links are “no-follow”. what LSI is used also for SEO ???? Thank You. I really appreciate your post about blog comments, I have ranked my site through this and got some high traffic from it. However, I have to keep in mind that this blog comments can also be a risk in seo. So I created questions below and hope you can help me with an answer. Do you have any routine on how many blog comments should I do every month to make my site on top? How do I include my website on comments? using my keyword or by just using my name as anchor text? Do I need to use my personal ip for each comment i make? I didn’t know that commenting on blogs could help your ranking. I really like your tip that comments should add value instead of just commenting to get your link out there. I think asking questions is a great way to start a conversation and add to the discussion. Can you add a backlink to replies that you make on comments? Thanks for all this great information! I realised late that it is always good to leave a mark. This helps to acknowledge the author for his hardwork and is also good for building backlinks and relations with like minded people. I read most of the posts on your blog. My blog belonging to a similar category helps me a lot. Love them. you were right about links, i have got many backlinks and Tf for my website by commenting. Your post was very useful. thanks to share. i have many backlinks and traffic for my websites by cammenting …..
You know? When I first came online with my blog, I understand that commenting give me backlinks. I love blog commenting, but I did the mistake along the way I commented other’s blog. Many bloggers marked me as spam and I didn’t any of my comment live on the post. I learnt related to blog comment after several month with blogging, and then it become my favorite strategy for marketing the business. Comment is a great to interact with other people in area of business, and help you to build relationship with both readers and other bloggers. Think… whatever the business you’re currently doing, whether it’s online or offline, the relationship is always benefited your business. Oh. By the way, I love what you mentioned about using real and avatar image. You know? I didn’t approve none avatar or keyword people on my blog post. Another important you mentioned is involve conversation. Yeah. This is a super super awesome idea to build relationship. Thanks for sharing some kind of brilliant post. Hi Al-Amin. I’ve been trying to be more active and comment on more blogs but I hadn’t thought about my approach until you brought it up. So it’s quite possible that you just saved my life. haha Really really helpful stuff thank you! Hi, Al-amin, Your post was very useful. thanks for your post. Thanks for the wonderful post Al-Amin Kabir. It will be really helpful to newbie for sure. Actually, I had a confusion about this matter. But recently I have read some blogs on this topic. You are saying to add some extra value to the comment. I have seen a lot of comment like this. People are writing comment around 200-300 words. It is a hilarious matter to me. 1oo to 120 words seem to be ok to me. I know you are the most successful online marketer from the Bangladesh. I want an answer from you. The question is- how Nofollow links can help in ranking? I’m noticing that blog commenting can be pretty helpful in creating relevancy and building up authority for an inner page or website. I really like the layout of your website by the way, reminds me of Neil Patel. Way to go! I agree with Bryn’s comment about Kabir’s site becoming like Quicksprout. I also agree, blog commenting can also be a useful tool in personal branding. This is also covered in The Success Manual. Great post about blog commenting! Hope you are well on your way to your goals with your affiliate stuff! I have a doubt. Will it be possible to add the focus keyword in the meta description while it may contain only about 160 characters? Will it necessary to add such one? will be waiting for your reply. Once again thanks for sharing this informative article. Anyway, thank you for sharing this article with us, much appreciated! Thanks for the post. I stopped using blog commenting for ranking purposes a year ago since I didnt notice much difference in ranking. DO you think it will be effective only if the content is relevant to the site? I literally just started doing blog commenting to help with my seo. It’s funny that I came across your post, as it’s very informative and taught me a lot. Shows that when you take the time to do something, it can be very rewarding! Keep up the great work, and I wish you all the best. Blog commenting still works for sure. I have been doing SEO for years. I studied the google updates all the time and I guarantee you guys that blog comments work 🙂 Great article btw! P.S. Very sneaky on the last one =P I gave your article a tweet! Blog commenting is dead? Forget that, blog commenting is arguably one of the best way to get quality, relevant links! It’s still a go-to in my toolbox and I believe it always will be since I still rank very well on sites of mine. Thanks Al-Amin for the post. You know what, I live in Brisbane and SEO consultants that i talk to say that they don’t even use blog commenting to rank a website which tells me that they are either very new in the game or they are very amateur like SEO’s anyway appreciate the article and totally agree that blog commenting is very powerful and still one of my favourite ways to get links. Blog commenting is really popular for building links but others have abused them by posting irrelevant comments. Sometimes, your relevant comments are being filtered as spam by Akismet spam filter for no reason.Yes, blog comments are not dead! I am still doing blog comment in quality websites that have huge traffic.Commenting is very essential because it helps you boost your seo campaign, a great way to grow your network. Blog commenting although it is an older tactic is still an extremely important component of search engine optimization / ranking through link creation. I personally like to build links in this way as I find it to have other benefits outside of just link building for ranking. It allows me to stay in-tune with industry topics by forcing me to read multiple blogs monthly. It also allows me to read different perspectives on topics that impact how I manage my business and how I construct unique SEO campaigns. I also want to add that it is not just the sheer number of comments that you put on the Internet that are going to rank you. They may contribute, but that depends more on the quality of the blogs you comment AND on the relevance between that blog and your website. If they are not relevant at all to each other, no number of blog comments are going to help you with SEO. I think the best way to go is just mix them in, but definitely don’t make them your primary tactic or strategy. As we know that blog commenting is an older trick to get traffic to a site or website or for any product but now a days it gets more response than before in seo tactic and all processes to get traffic . Great points. Everywhere I hear people saying that blog commenting is a thing of the past, it doesn’t work, blahblah… It’s either because they never tried or they are doing it wrong. While it’s true that blog comment spamming doesn’t help your SEO, commenting on relevant topics in a moderate scale can definitely help you a lot. Earlier I am confused in blog commenting but after reading this post i can understand blog commenting. And now I know the value of blog commenting. I believe On page SEO is more important than anything else, and good that you are suggesting to gain links naturally instead of pointing to a mass link builder (that most of the “about blogging” bloggers are doing). Blog commenting is one of the best methods to build up good quality links to your site, as long as you’re aware of what you’re doing. There are several factors you have to take into consideration before you link back on a blog. It’s of course good to know if the site is being penalized and if it’s relevant to what you’re trying to rank for. Great stuff! I would agree that blog commenting is not dead! I have noticed a ton of traffic to my blog from commenting.What would be your subjection for more efficient results ? I am also agree with you. It is a perfect idea i think that. Thank you. pluses and minuses for all of the above you listed, but all still play their part in SEO. Competitor link analysis is so important along with citations and blog comments though, we all need to step our game on these. Great article though! Blog commenting is one of the easiest ways to get backlinks to a new or old website. In fact, an effective blog commenting strategy will make sure your backlink graph remains constant or go up with time. Not only so, a comment also adds lots of value. Sometimes the comment section of a blog can be way more interesting than the entire article itself. In fact, it seems as if sometimes the best information is found within a post’s blog comments. Which is why I hate seeing blogs that haven’t optimized their blog comment sections for SEO. Most blog comments are poorly thought out and indeed most are spam in order to try and get a backlink from a reputable / authority domain. if you take the time to seek out blogs worth commenting on that are relevant to your niche / market and you can add value to that post, then take the time to write something worthwhile. Look at the URL of the post, we all know Google is a machine that does not think – it reads! Why – well link one is about SEO link two means nothing in relation to SEO! Think about whah you want and spend the time if you plan on blog commenting!!! I have read recently that longer posts do better (~1500 words) do you still think that 200-400 words are enough? Good Read, I agree that blog commenting can be good for ranking and traffic. I do not think it is the highest quality of back link for your website but it can help. Reading quality articles can be interesting, you might learn a thing or two at the same time. Blog commenting is still a great way to leverage traffic and get valuable backlinks. I use it to from time to time to provide an interest for my Charlotte SEO service page at http://www.innovationmind.net/charlotte-seo. I don’t understand why people keep saying blog commenting is obsolete when it’s still quite effective. Let the rest of us take advantage of this method. Thanks Al-Amin, this is a valuable share. Blog commenting has always been a useful SEO tool. Given the frequent Google updates, is it safe to say that it would still be effective in 2017? Thanks for the great tips. There are so many information out there about blog commenting information that I always did not whether it is useful or not. After reading your post I will definitely try blog commenting. New India Solutions is one of the most proficient and quality SEO service providers in New Delhi, India. We have huge list of satisfied clients with hundreds of international companies & Business. Someone told me blog comment is not a good practice of link building and I’m confused about it, how can I build link?. Finally, I search online and start reading your post, it is wonderful. Now I start doing blog comment by following your tips. I factually just started doing blog commenting to aid with my seo. It’s humorous that I came cross-ways your post, as it’s very educational and educated me a lot. I think is important to conclude that Blog comments don’t give a site power naturally; they give it relevance to a topic. Which should help down the road raking your site for relevance keywords you are targeting. http://viewpointseo.com/oklahoma-city-seo/ I would agree that blog commenting is not passed! I have noticed many of my customers sites have dramatically improve in rankings compare to do the I don’t do any blog commenting. I didn’t realize blog commenting can be such a powerful way of getting traffic and good backlinks. It can be a time-consuming task, and the reward seems worth it from reading this article. I’m going to incorporate this into my business, and I’ll post back letting everyone know how successful it has been for my SEO strategy. I guess the key thing to do is to comment on relevant websites because the links are no-follow from comments. Many thanks for the great article. Thanks for all the tips mentioned in this article! it’s always good to read things you have heard before and are implementing, but from a different perspective, always pick up some extra bits of information! Someone told me blog comment is not a good practice of link building and I’m confused about it, how can I build link?. Finally i started to read your blog and with the help of these i got good resuls. Althogh it’s time taking work but beneficial. Thanks for sharing. The key thing to remember is that it is one tool of many. Even if some may argue that the no-follow links do absolutely nothing for you as links, if you put enough thought and effort into contributing, the links can still drive natural traffic. Get the best internet marketing services in Delhi, India at most affordable price from experts and take your business to new heights. Visit newindiasolutions for the best seo internet marketing services. Is Blog Comment will support all kind of websites? No doubt from testing multiple sites that the updates to the google algoritm increase the power of a relevent blog comment when it comes to rankings. A few years ago these were consitered junk links but that has all changed again. Google may say “no follow” links don’t mean much but they really do. Excellent work,they completed the projects on time without any delay. it is very impotence for search engine optimization.blog comment is big thing for increase your website rank,so i am very delightful to get this post and besides very favorable to you that share with us. Thank you for this post!! I had stopped blog commenting as I kept hearing that it wouldn’t help with rankings, but I did notice a decrease in traffic. Blog comments never created a giant increase for me personally, but if I am already reading a post, I am beginning to write more comments again. However, I am not going out of my way to do so. Thanks again for sharing this with us. In terms of SEO, when you pick and choose good quality blogs to comment on, they can provide some extremely powerful backlinks to your site. Not only that but of course the traffic that it can provide if it’s niche-specific. What’s up,I read your blog named “How To Write Great Blog Comments For Traffic and SEO Ranking – Marketever” on a regular basis.Your story-telling style is awesome, keep up the good work! And you can look our website about love spell. I thought, getting chance of blog commenting link from various blog is reducing day by day. But I read your whole article two times. I have inspired to read your article. The chance is not finish yet. It depends on relevancy and adding values of the comment. It’s really great article. Thanks for Sharing. So true on blog comments bringing in traffic, we have had people reach out to us from a simple blog comment response answering their question. SEO work now very good for making carrier. In present days SEO work is very dimanding work. If you want to know SEO and want to work as SEO then you can join eGramin infotech. eGramin does SEO related work. I think in present days IT carrier is the best carrier. Many student are want to build there carrier as a IT professional. It make lot of chance to make a good carrier with more financial capability. eGramin gives you the chance to enter and work as IT professional. Really helpful tips for search engine ranking. I got good result following your creative tips applying for my blog site. I appreciate it. Thank you for sharing your valuable knowledge. I enjoyed the Article, very informative. Great Post about Blog Commenting. Thanks for sharing this post. I have learned many new things about Blog Commenting. It was great to stumble upon an article about Blog Commenting that puts this action into its proper perspective. I have read a few articles which place blog commenting in the Black Hat arena which is not correct at all. In fact, as this article states, not only is blog commenting a natural and acceptable practice it is one which has multiple benefits. Yes it can help to build links thus building power but it can also gain you industry credibility. What a great article. A LOT of information. Well what I do, I hire Freelancers to create my blogs for my websites. I am not using Text Broker since i made really bad experiences with it. you can just place an ad on a university platform and get a freelancer for around 10 bucks an hour. Seriously though… This post is very thorough and could be used to instruct a newbie on blog commenting. I am a big believer in being genuine when you comment on a blog. You have to know what it’s about! Don’t be the knuckle head that throws up 3 words and thinks they deserve a link! SEO is full of spammers… take pride in what you do! This is pretty nice, easy to follow. You’ve outlined most of the basic fact Bloggers should keep in mind, so as to excel with their blogging career. Thanks so much for sharing. Loved your article. This is what I call a 360 degree view of blog commenting. Your article will go a long way in helping those who are looking out for blog commenting. 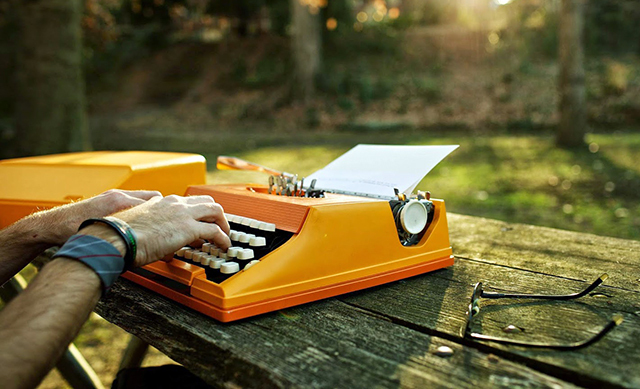 This post is very informative, it gives tips to start writing blogs. Thanks for the tips this will help us with our SEO progress and help our customers. I agree with you that blog comments can serve as good backlinks, especially when they are relevant to the site they link back to. Like all things, it should be done naturally and moderately. I would imagine that only using blog comments as part of a linkbuilding strategy could be dangerous. Wow! Thanks for the article Al-Amin. By looking at the comments, it looks like people took your advice. There are a ton of comments on this blog post! I agree that blog commenting on relevant blog is still a good SEO tactic. It is not the only thing that you should do, but it’s a good tool to have in the tool shed. I would be interested, though, to learn if anyone has ever ranked a site, just on blog comments? Probably not. I agree. It all goes back to the communal purpose of the internet and search engines…do share and deliver high-quality content. If you’re just going to load up software and spam generic comments across hundreds of blogs on the internet, not only are you cluttering up “cyberspace” but you’re potentially endangering your own rankings. It’s OBVIOUS when someone didn’t take the time to read an article or just decided to post a generic comment for the link…in any case, thank you Kabir for the great post. I agree – blog commenting is alive and well. The Internet is a communal effort to share and expand on ideas and knowledge. Blog comments do ADD value and lend credibility to an author (if they are genuine and authentic), hence you’d think there would be SEO value to Google as they are indicative of the intellectual property held by the commenting site. In any case, thanks for the article Kabir! In terms of varying your anchor text and getting relevant backlinks blog commenting can be great. It’s not good for much else. If you spend a little more time and research and write a well written blog comment you may get a few clicks through to your page, but is it worth it? Al-Amin, well written article. Thanks for all the information. Al-Almin, thanks for writing such a wealth of information article. Thanks a lot for sharing such a nice information. Blog commenting plays a major role in SEO. I want to introduce my company Taurus web solutions for your seo requirements. Our SEO experts work potentially for put your website in top position. I like your point about posting on social media accounts when commenting on interesting blog posts. It seems like anyone who’s trying to become more visible on place like Google would need to have SEO work done. I love seeing interesting links on my social media feeds, so I would happily follow them to check out the blog post. I can see how this could really help a company’s SEO. Thanks for the sharing this. It’s a shame that others may not see the value in taking the time to comment and participate in their industry. Reading and commenting on blogs is always a helpful method of getting ideas on the current issues. Eye opening post! Many people have trouble to successfully comment cause they don’t even bother to read the article sometimes! In my opinion, blog commenting is a great way to learn new things and interact with others that are interested in the same niche as you! If you plan to do so, you need to know doing it the right way as Al-Amin describes in this post! Nice Post, i am collecting information about SEO now days and i find some great info from this post Thank You!! I totally agree that blog commenting is not dead. However, I would offer that relevant blog commenting is what you should be looking for rather than a simple blog comment. Relevancy to your niche will help you in the long run. Great article and looking forward to reading you again. Great read! Its good to see that some tactics that are deemed “old” still remain fundamental to ranking and traffic generation. Thanks for the article and providing quality information. Thank you very much for writing this article. This is probably the best by far. Easy to understand and educate myself on blof commenting. After read this articles i must say that it’s a nice one about blog commenting. Blog commenting maybe a old system for backlinks but now i think it works. Pleasure to read this. Thanks! Based on my own testing, the SEO value for using your “main keyword” in the name field of comment posting is limited. It doesn’t work as well as it once did! We do know now that traffic can be one ranking factor, so posting an insightful comment might help boost traffic to your site! Most SEOs nowadays are still using blog comment just to increase their website’s traffic even without bringing something new or valuable with their comment. Leaving a comment in one blog is a great way also build relationship to other experts as well. Thanks for writing this Al-Amin it has opened my eyes to more possibilities to get more links back to my site. I knew not to write a quick thanks and then leave but I did not think too much about writing my own blog. I am not a very good writer but it is something that I will have to work on for the future. Thank you for your submit. My partner and i ceased making use of website commenting regarding rating functions this past year since i didnt observe significantly variation inside rating. You think it’ll be successful as long as the information is applicable for the web site? I have to use keyword or my name is Name field to get backlinks for my blog? Please reply as soon as possible..!! Many have been saying that blog comments no more work after all those algorithmic updates by Google. But I have found relevant blog comments still helpful in ranking my client website. I am beginner in SEO and trying to boost my knowledge through SEO Blog site. I am happy to say that “Your post is relay helpful for me”. It’s remove my confusion from blog comment. Blog commenting is still a great way to diversify your links. Commenting on blogs that are inline with your niche or service is even better. Thank you for taking the time to write this post! Relevant blog comments will always work. In general, I feel what you consider is good for your business is good for SEO. So if you contribute to your industry with relevant opinion, it creates goodwill and even helps you to establish yourself as an expert in your field. Thanks! Does Blog Commenting is still effective on 2017? Blog commenting is a good way to make a back link as per SEO purpose. so it’s good for SEO and webmaster. Blog comments are a great way to get traffic to our sites. It does not only help in ranking the content on Google but using blog comments, once can build email subscribers in no time. Indeed, it has great benefits. Thank you for this post. Funnily enough, I came across this one while blog commenting and it seems to have multiplied my knowledge to a large extent. Now I know how to better my skills to aid in ranking my posts online. Let’s be honest here. Relevant blog comments will have an effect on SEO but single handily will NOT get your good results. So… Yes keep doing them but make sure your full SEO campaign has enough power behind it for the blog comments to be used as supplementary links. If I am completely honest I don’t really think SEO when I leave comments with a link back to my site. I am usually looking to get traffic to my blog or a client’s website. Its crazy that people think blog posting is dead when it can be very powerful. Great article and thanks for giving us a lot more info than just the basics. Always good to start a engaging conversation. An amazing post indeed. This could help many SEO beginners and I am also one among them who benefitted. As being a newbie to the SEO strategies, I always wanted to know the tricks to get the decent comment backlinks. This post helped me in achieving my goal. Thanks for sharing. As someone who personally does SEO as a full time job, this article was extremely informative and is definitely going to 10X my results in 2017. I always appreciate it when others go out of their way to provide value before anything else. It means a lot and you know the marketer is someone you want to work with. Again, thank you marketever for this fantastic read. Commenting is a great element in the SEO process, especially if the what one is commenting about is relevant to the industry they are serving. Although most commenting are no-follow back-links, it is very good for back-linking profile. I really appreciate this author being direct about what most already know about the benefits, but even allowing us to comment on this blog is a great way to practice what is preached. Thank you! blog commenting is a one of the easiest method to get a backlink to our site but at a same time we have to follow few strategies while commenting in a blog. Thank you Al-Amin bhai for this great article! Thanks for your great info. Blog commenting is the great way to gain more traffic to any website and also increase back link for the website. Blog commenting still works in 2017. Ofc that there are rumors that this SEO technique is dead because in the past people used to do it with automatic software…this technique is dead! You also need to pay attention to the relevance of the article that you are commenting. Even if you don’t provide too much value you will still get a niche relevant backlink. BUT if you actually invest some time into it, people will actually follow your website and even interact with it. That’s one of the things I do like about SEO is coming across some actually interesting blogs that I can come back to periodically and catch up on. The thing is I don’t know how to make the admin approve my comment because They afraid spam comment , Please share this ! Thanks for sharing useful article and helpful after read your article make me have any ideas with blog comment ! to be honest, I have never commented with the purpose of driving traffic, but to let the author know that I read and enjoyed reading the article. I think readers are also having a look at the comments to find few extra info or case scenarios. So if you see someone with a good comment you want to know more about them clicking on their website. I agree with you that commenting just for the sake of driving traffic doesn’t bring you anywhere, actually, you can get opposite result (= spammer). I am curious if you think there is a related link juice value to pushing a blog comment to a site that has multiple links? Blog comments do really work. Links earned by commenting on relative blogs bring more authority to your website. Blog commenting is great idea but what is the power that it provides. Does it depend on the power of the site that we commented on. And it will be helpfull to get approval …. Thanks to shared this article KABIR……………..Yes! I also use comment posting to increase backlinks for my website, this is the best and easiest way to increase ranking. Thanks for this great article. I would say you’ve done a great job. Thanks for this. New(ish) to SEO and this was going to be my next step. I see the article is 6 months old, do you think anything has changed? I Thought Link Building is more difficult but you are shown an easy method thanks for the guide I will start to follow your blog. Although I didn’t know much about the process of blog commenting, I’ve recently been trying it out for a few of my clients’ websites, and it is proving to actually generate more traffic! I truly believe that diversifying your link portfolio will help you rank better in Google. SEOs should mix in links from social properties, PBNs, and blog comment and this will look good in Google’s algorithm. Meaningful comments are very necessary because meaningful comments helps us to derive traffic even from no-follow blog. Great post for me. Thank for your advice. It helps me improve my comments. If you use WordPress for this site, What plugin creates the summary of this post? This was one of my best reads regarding SEO. SEO ranking is a factor guided by many aspects. Digital marketers must understand the role of blog commenting as it is one of the most positive factors in the recent algorithm of Google. The comments bring valuable inbound links which in turn improves the page rank greatly. But it is not being spammed. 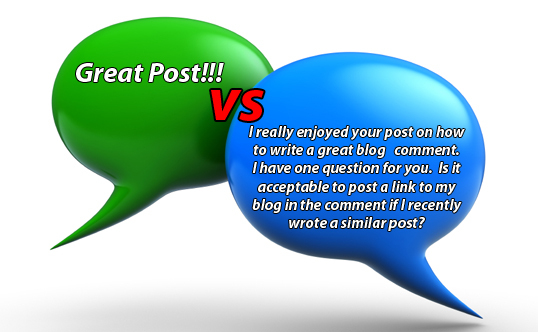 I also agree that blog commenting can make a real difference if ofcourse its utilized in a white hat SEO way. Get involved in the conversation. And rather than trying to promote yourself promote your opinion instead. This was an awesome post. It’s great to see guys like you putting some much effort into these articles so people like me can learn something beneficial from it. i would like to add, that instead of chasing links from comments, its also great to just provide valuable content and then after a while of providing great comments, to approach the site owner to guest blog. The comments reenforce your authority and then you could get an even bigger space to showcase your expertise and get a great backlink…. if that is what you are after. Thanks for this one, Al-Amin Kabir. This really cleared up a lot of the misinformation out there. I will be sure to use these nice and tangible steps and implement these as a part of a strategy. I’m sure that I will see great progression in the future with this in mind. Thanks for this excellent post. I really enjoyed reading and learnt a lot. when are you going to have your link building course? Blog commenting while can be annoying if done incorrectly, but when done in a finessed way can be good for both parties – providing knowledge and additional context for the blog post and providing a backlink for learning more with the party leaving the comment. Great article! Very informative information here! Thanks for writing this article and showing us a great way to building up those blog comments. I learned alot just by reading your blogs, thanks again. Thanks for this blog post, Al-Amin Kabir. This taught me something, never knew blog commenting was that important when it came to getting your site ranked. I will make sure to use this advice from now on. My thought on blog commenting: Even if Google does not keep a good eye on backlinks, I would like to do the art of blog commenting on high PR sites related to my niche. At least My blog will get popular among readers. Like how we post for our loyal readers, we should treat commenting method as a way to reach the right audience. It’s crazy that people don’t think that blog comments still work. Blog commenting or even doing guest posts are fantastic ways to get good quality content in front of your targeted readers. Thank you again for the good post looking forward to more! Thanks for sharing your wonderful article on blog comments. We have been using blog comments on SEO for years and it absolutely works. Comments on blog will generate backlinks if the blog is being indexed by google. 1. Don’t post on blog comments that are not in your niche. 2. Don’t post on blog comments if the blog is too old and not being maintained. 3. Don’t post on blog comments if the blog itself it spammy. 4. You can check blog ranking by downloading alexa toobar. It will show you Global and Local ranking of the page. The comments are great, it would be interesting to have a full white hat SEO link building course. blog commenting is the best way . don’t know why people don’t give importance to it .. Thank you so much this awesome blog commenting tutorial. This is very step by step. Thanks a lot. Lots of useful info for a beginner blogger, very informative for me. Thank for sharing. Really impressive article about blog commenting. Thanks for sharing your wonderfull knowledge. I read your all article great job done by you. I feel a little pressure now in posting a comment after this article!!! ha! Really thought, thanks for it. I’m trying to figure out the best way to link build but also add value to the community. I don’t want to be a spammer but a contributor. Thanks for the the great information. I was curious if comments was imortant for SEO. Thank you for answering my question. I will consider much more important now that I know. Wow, this is super informative! I’m stunned that there is an etiquette, or unspoken rule of conduct for blog commenting. I’ll be sure to start doing that in the future and I’m so thankful I got the chance to read this as I try growing my own SEO business. Keep up the awesome work! I got an idea how to comment on a blog post in order to get more traffics and also for SEO purpose. I have a query on this while commenting on a blog, is I want to use my real name or my website name along with my website URL. Which one is best for Ranking? Thanks for the great content on Blog Commenting. I always hold the opinion that blog commenting is only good to get a link to your site, but never about getting more traffic for it. However, in this article, not only I get great information from the blog itself but I got the whole ton of useful knowledge by reading through others’ comments too. I was debating this topic with another friend we are interested in learning SEO with me and I found this article to be very informational and helpful. Thank you so much for writing it. I look forward to future articles. Some of my best backlinks have come from blog commenting. It’s also allowed for a wider variety of traffic and visibility to my blog @ The Hustle Never Ends. Thank you for this affirming blog post Al-Amin Kabir! Thanks for the informative article. I’m new to the blogging and SEO world. There’s a lot of articles online that make it all sound easy but it really is harder than how they make it to be. Anyhow, I didn’t know that leaving comments could affect SEO. Hopefully its still effective as of 2017. Not sure how old this article is lol. I am very thannkful to publisher. After reading this article, i have started to comment on blogs and try to get huge traffic to my website. Thanks again for sharing such good articles. You are right about block commenting. It really works. This is a great article and very well explained. I believe in professionals so this is a very useful article for everyone. Many thanks for your share. I am a junior SEO executive and on a daily basis, I make several mistakes. Thanks to your post, some of my major doubts have been cleared. Thanks again. I am new in blogging world , i want to know how i provide SEO services in islambad through blog link building ? i am seo link builder . I have to say that this is what most people are saying. I would have to add that building links that are relevant is very important. I agree with you completely!! This content of information has helped me a lot. It is very well explained and easy to understand. Thank you for providing such info and helping us. You write this post very carefully I think, which is easily understand to me. Not only this, other post is also good. As a newbie this info is really helpful for me. Thanks to you. Thanks for sharing this informative post related to blog comments. And yes, blog comments help in getting good traffic. You often times hear that blogging is dead of that blog commenting can have extremely negative affects on SEO. All you need to remember is that you need to do everything in moderation and as long as you’re providing value to the people reading the blog of the comment you’re leaving on someone’s blog you’re generally good to go. Thanks for the great article and I will definitely be back for more very soon. Thanks again! Most of the SEO’s use blog commenting for generating no follow links. What they do is find the blog post by using Google operator search and then just drop by links of their blog, the method is wrong in so many ways. This is the reason blog commenting is not worthy of time anymore but again if your comment contains useful information and is helpful to other users it is surely gonna help in generating traffic to your site. Yes, blog comments do drive traffic to your sites but the amount of traffic specifically depends on the quality of a blog you are commenting on. One should attract certain credible links, meant, you should focus on the sites that can pass on some valuable link juice. While it’s important to get DOFOLLOW Links to your blog or website, but Nofollow links too hold some SEO value. Perhaps, it would seem to be a natural link pattern to Google. This post is great. It’s something we’ve started to get better at. No one wants to contribute to someone’s success when they aren’t willing to be part of the actual community they are trying to build around. Before few years thin content was less than 500 words and my sites used to rank well with more than 500 words but Now a days think content is less than 1000 words. Thanks for the tip to find thin content using RavenTools. And relauch of old content is a very good idea too as google is giving higher ranking to up to date content than old content in most of the niches. Thanks for the great post as always. I have to agree with you that someone who says blog comments are dead is the person who tell lies. Why? Before I used to do lots of blog comments. My site went up pretty quickly. However, after awhile when the old blog comments were gone, the traffic is gone too. Great article, anyway! Pretty much informative. In my experience, blog commenting definitely has a positive effect on search engine rankings. As you said, analyzing some top SEO agencies in AhRefs, their backlinks are full of comments from high authority, trusted websites. I have my own SEO Agency in Hertfordshire, UK ( http://www.rankingsdigital.com/hertfordshire-seo ) and i have been stuck at the bottom of page 1 number of times and the way i reached the top was through blog comments. It is also worth saying that blog comments are a very safe search marketing technique. Question: Using your real name when commenting.. I have always used random names when commenting and never had any problems. I would love to hear peoples input on this as it is something i have always been unsure about? I have found this blog to be amazingly useful in learning about several primary SEO benefits of blog comments that & more value to the blog & raise its SEO ranking. The writer has also brilliantly explained how to use these blog comments for getting more backlinks & better traffic to that website. I agree with you 100% blog commenting can be a great way to increase your rankings, however, I would also mix in other types of links such as Citations and Directory type links. You can very easily get links from high authority websites such as Inc.com and many others for a really good price. Wow great article! Never thought about promoting a post i commented on, might just promote this one, thanks! Great article about comment writing because commenting is the best way to create quality links for our website. The tips which you’ve mentioned in your article is very nice like Study the Comments that People Make, Always Add Some Value, Avoid Generic Comments. Thanku Marketever i read your all blogs it really very helpfull. here is question : which links to include while commenting? nacked url only or the post url ? I have read your helpful post on Blog Comments. I have found some interesting tips to follow for my site. thanks for this informative info. Thanks for shraing this detailed post on relevance of Blog commenting for SEO ,In my opinion it is helpful to get organic traffic from high authority Sites. For Promotion Of Mobile Advertisement you can visit AppsDiscover Technologies. the entire world, soon after establishing it generally inside the U.S.
nevertheless, these need a plug-in set up). Thanks for the article. I find that blog commenting has helped to increase traffic to my client’s websites. It’s just one more tool in our arsenal. Thanks for sharing. Never thought about promoting a post I commented on. Great insight. I look forward to future posts. messaging interaction (no video and voice but, individuals need a connect-in set up). Blog commenting is not dead.Have worked with it and the back links have increased. Nice article, I’ve read ever about blog commenting and some techniques attracted me a lot like add value in our comments and comments should be lengthier than a tweet and shorter than blog. Your writing techniques are the good one. I’ll try your writing technique in my website’s blogs. Thanks for sharing this informative article with us. keep writing I’m going to bookmark your website. Great article. there seems to be a lot of noise out there about what does an what does not work in the world of SEO. But it seems that the old tricks still work if done right. This post is very helpful for beginner blogger. I read your post. your writing very clearly about traffic and SEO ranking. I read so many posts about this but your post is very helpful for me. Thank you very much for this post. i think guest posts are one of the ranking factors to the bloggers. is it good? 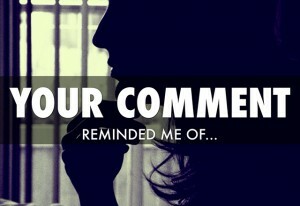 Great article to remind bloggers and Digital Marketers that comments are important. Also, it’s key to realize that comments on source sites that are not relevant to the target site don’t help as much or at all. The proverbial dog training example. If one were to comment on a dog training site and link to a site that has nothing to do with dogs, it’s not going to help much. Commenting on appropriate sites is key. I am on the platform of long run in digital marketing for HTSM Technologies Pvt Ltd. Your content is pretty good which help me to boost my skill. This post is very helpful for me. You write perfectly about traffic and SEO ranking. I love this types of blogs. Keep posting this type of blogs. Which way you write, I also write this way.Thanks a lot. Being a team lead in a web design and development company, i admire the points about blog commenting explained by Al-Amin Kabir. I am quiet agree with most of the point and also follow the same path. The good thing for me is that i have get some more ideas for quality blog comments and i am sure it will help me and my company website as well in getting relevant traffic and quality back-links as well. I am a new blogger and i am doing comments on different sites but i am not able to generate traffic. Can you suggest some other ways to generate traffic and create backlinks. I had so many questions and doubts about how to building Backling by blog commenting, How is it works, This post really helps me to understand many things, And also i got some great tips about commenting on other blogs. This is really great topic with a lot of informative and useful stuff. Thank you very much for this blog post. I want to say that this article is awesome, great written and come with approximately all significant infos. I love the quote saying without trust there are no collaborations. this is true. This is what I learn. An amazing post indeed. This could help many SEO beginners and I am also one among them who benefited. As being a newbie to the SEO strategies, I always wanted to know the tricks to get the decent comment backlinks. This post helped me in achieving my goal. Thanks for sharing. This is a great article. I just got a job for blog commenting for a client who wants increase the traffic and ranking of his site. The above points haven’t been just made it clear to me what to do in this new venture. Thank you. This article really help me to understand so many key point about blog commenting. thanks for this valuable article.. Your article is very informative i learn a lot through this.please share “post comment as a guest”sites.or Query to find these sites.i am very thankful to you for this favor. This article is amazing. i was in big doubt that blog commenting still works or not because sites use moderation feature and after getting the aproval our comment will come to the comment section. As per your guidence i have learned that write genuin comment without promoting your own website or business. The article is really the greatest on this valuable topic. I love the blog. Great post. It is very true, people must learn how to learn before they can learn. lol i know it sounds funny but its very true. That’s a great article AL-AMIN KABIR thanks for reminding me about how powerful blog comments are for SEO. There are many people that provide false information about comments, But you did a great job, keep it up, thanks. Great post-Al Amin, I agree with your word but I have to say blog commenting is just not a ranking factor or to gain traffic with it.It’s a way to connect with other users as well and to brand your self. Amazing article, blog commenting really work i have tons of website which is ranking very well and ranking high with the help of Blog commenting. Awesome article mate Really helpful appreciate! You have done a great job.I personally believe that this article will make change to many people about the concept of blog commenting.Blog commenting really an amazing technique for SEO,but,many people think it’s not working. Hope, after reading this article ,they will learn how to make a comment more effective. such a nice post love to read your article and got so much information and it will very helpful for me and i believe lots of people will get information. keep sharing this type of article, tanks for sharing!!! Blog commenting is one of the best methods to build up good quality links and build up the business without the help of SEO, There are several factors you have to take into consideration before you link back on a blog.Thank you for this informative blog. I had always heard that blog commenting was frowned upon by Google but I noticed all the top SEO’s were doing it upon inspecting their links.I have always left feedback on articles I liked just for the sake of it but after reading this post I’m starting to see the bigger picture.Thanks for all this great information! I appreciated your kind way of knowledge.Great Stuff Here..I am happy to find such an informative post.hope more to come. Thanks for your complete guide post! I’m blog commenting to help my site get more traffics, but just 10-15% comment is approved. Now I know why my campaign always failed by all means. Thanks for sharing your valuable words! I have read your post carefully and noted some tips. I have learned a lot about blog commenting. I will apply these guidelines in future. You have the great ability to describe anything in the easy language. Please! continue your writing in the future. Yes, I think we should concentrate on the comment, Don’t use “Thanks for sharing” or others on all blog comments this seems to be spam which negatively effects on the website and ranking too. I was looking for topic how to create backlinks on google and there i saw your website link. Your article regarding backlinks is very informative, love the way you described each and everyone point. You are such a great content writer really impresive work about backlinks creations and methods. Keep up the good work sir. Thanks for such a nice backlinking article. You definitely need to be more careful about excessive links these days, especially ones that are not relevant to your site. I have just started my SEO service company and I want to thank you as I have learnt a lot from your blog. Now it’s time to demonstrate what I have learnt here and utilize the power of commenting for SEO! In my experience, if you follow a sensible, relevant blog commenting practice like the one outlined above, you should be fine. Great information, I still see many blog comments that aren’t relevant when I check websites. Do you think they still work or Google has caught up with this? thanks for the great content. Yes, i do agree to your point that blog commenting helps to increase the traffic to your site. I have question that ‘Is it good idea to post comment on auto approve comment sites?’. Searching for cruising and gathering or occasions around coastline, Rent Any Boat or Yacht in Dubai for no particular reason and fantastic occasion. Select Yachts for Rent in Dubai and go through your events with beguiling atmosphere of Dubai Island. On the off chance that you are chasing down a Hosting Services in Netherlands respect the idea of an incredible system, give ESTNoc a shot. Thanks for sharing knowledge regarding content lists which helps us increase website traffic as well seo ranking. Traffic is most important thing for a website for expands the business. I appreciate your Post. Thanks for sharing here! Great blog – Thank you for the information! Does the website need to be located in the comment area? OR for blogs that have an area that you can enter your website, does that count as a backlink? Awesome Article. Reading your blog has definitely helped me with my own business. Thanks! Thanks for sharing knowledge regarding content lists which helps us increase website traffic as well seo ranking. Traffic is most important thing for a website for expands the business. I appreciate your Post. Hey, thanks for sharing this blog. This very important and informative blog for then who do SEO. I really loved reading this. Keep it up.!! Does blog commenting help or not? The debate goes on! There are as many ways to do SEO as there are SEOs! (I personally believe commenting helps) So, I really appreciate you publishing these tips, especially to use your real name, limit links to one, and say something that adds to the discussion. These practices cannot help but increase the overall quality of comments, in general. Thanks again! Thanks for the post and your opinion. As the social media handyperson, trying to keep and maintain a respectable if not superior SEO ranking for my company is challenging. Do you have any thoughts on no-follow vs do-follow site comments? I’ve heard there is little difference to Google anymore (Dec 2017) between the two and I’ve heard the opposite. Seems more a matter of opinion than anyone actually knowing for sure. Great tip about promoting the article you left a comment on. Just like great comments can boost a site, poor quality comments can have a detrimental affect on a site, especially where Panda is concerned. So it makes sense to write something engaging on the subject and sharing it. Thanks for the great article! Your tips is so good to know.this tips will help me for bolg commenting. Hi Al-Amin Kabir, I’m new to the SEO. I was bit confused earlier, Whether to use my name or company name for blog posting. Now i understood the basic stuffs here. You really did a great job Al-Amin Kabir. Thanks a lot. It is the best information given by you regarding SEO on your blog. Thank you for giving this information. Thank you so much for share you knowledge with us. Do you have any article about mobile SEO & how to do SEO for desktop result and as well mobile result? Well, I agree that commenting is the most amazing way because you can interact with a knowledgeable person, you get the knowledge and the last is backlink. I think it is the most interesting way to interact with an intelligent person. Great blog i found it has many ways to do SEO as there are SEOs! Traffic is most important thing for a website for expands the business. I appreciate your Post. I have been literally learning SEO every day. But its because of blogs like these that I find through research. I’m really working on gathering all the information that I have been learning about especially blog commenting. Someone wrote it a few lines up, but I am finding out more and more that its about relationships. I know I’ll be back to this website to learn more because it provides good value, so thanks for writing this. Whether you have started a business in New York or somewhere else, you must have a website to increase its productivity. A business which has a unique and attractive website that describes its services will certainly do well in the market. On page SEO is very important, but it is less powerful than backlinks. If you don’t know what backlinks are, backlinks are links of your website that other people place on their pages. Why do we need backlinks? First of all they bring you tons of traffic = free traffic, secondly backlinks also give you to the power to get recognized and most important of all: the more backlinks, the higher you will rank in the Google serps ( serp = Search Engine Ranking Position). Great article! you need to comment on blogs for relationships and you get a good amount of traffic sent to your site as well. WOW !! 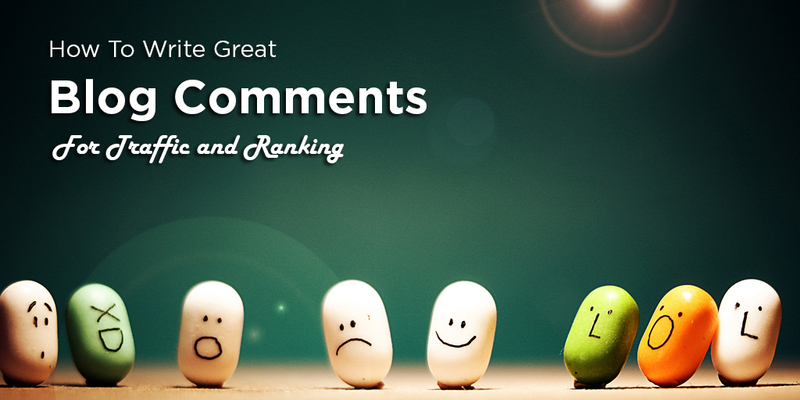 So Cool blog and great Shared about on Blog Comments For Traffic and SEO Ranking. Thanks, author Al-Amin Kabir for your Awesome Tropic and Excellent Content. Truly I like it and Looking forward to reading you’re Up next post. Thank you. I did not consider all of these points before and probably do, at least sometimes, make similar comments that others make on a post. It might be an interesting challenge to see if I can be more original. Hey, this article is really helpful to me thanks for sharing your intelligence with us. As a new member of this community, i needed these pieces of information.Getting Involved in Conversations can also make my communication skill better, nice piece of advice there. thank you! Although blog comments may not count directly towards SEO, if you post great comments and actually contribute something to the article, people may be interested and actually follow your link. The idea is not to just spam your link on every comment thread you find, but to actually contribute useful information to the discussion. Thanks for your input. I just have a question. What are the other benefits of commenting on no-follow blogs aside from driving traffic to your site? I’ll surely be back here to check your other articles. Cheers! Take my salam. Your contribution to make affiliate marketing popular in Bangladesh is awesome. This article make a lots of issue clear to me. But I still have some confusion. Would you please give more example of comments or give some template so that newbie like me can handle the issue better. It is really great.I would agree that blog commenting is not dead.We had some confusion about building backlink by blog comment.Getting involved in conversation can also make my communicating skill better. Thaks you. Great article, i also believe blog commenting is a great way to improve on your SEO. I also agree when people leave generic comments. As doing this doesn’t leave any value at all! Totally agree, any SEO worth their grain of salt just has to realize not only the utility of dropping a link in the comments but the actual networking aspect of it all too! I had a friend that ended up actually being friends with some high level people, and high performance people like yourself, simply because they actually cared about the content, not just the backlink- which is still highly relevant by the way! Another Great Article. I’ve recently started to blog on my own site to help rank for more keywords and hopefully generate more traffic. I’ve been reading a lot about blogging and I’m pretty sure it could really help to get more people to my website, which is a good ranking factor. Thanks again for the great article, and as always, I’ll be back for more. Hey, Amin, I would really thankful for share the article from the blogger’s point of view.Your article was really helpful for people like me as I am new to SEO field. Thanks, Al-Amin Kabir for sharing this post. I also think that blog commenting is not dead if you do in right way. Keep sharing! According to my experience Commenting posting is one of the best way to build backlinks also a great way to build community. I recommend comment writing/posting to everyone who want to increase their website ranking. Hope it helps and again you made a really helpful post! Your content is very useful for me because I am new to SEO. I will use your tips and I’m sure that it will bring positive results. Blog Commenting is a great way to exchange ideas, thoughts or opinions about what people feel for a particular topic or a blog post. Blog comments helps the blog to attract traffic and makes it social. Just as fuel is to vehicle likewise, comments is to blogs. Through Blog commenting, knowledge is shared. Blog commenting is a way to viral out the blogs. Regards for all the efforts that you have put into this blog. Blog commenting is an important section in SEO Tasks. And if we do this sincerely and smartly then it gives us huge benefit like leads, traffic and may be sometimes in the form Guest Posting also. I appreciate your effort which enlights many others especially SEO professionals and therefore wants to say thanks for sharing this article with us. Thanx for sharing this valuable information. I also agree that blog commenting is not dead if you do in right way. It is one of the best way to build backlinks and also a great way to build community. I recommend comment writing/posting to everyone who want to increase their website ranking. I agree with you Al – Amin Kabir. Blog commenting still works and it’s a part of SEO. Blog comment from high PR sites will affect your Ranking. I think Blog Commenting is a great way to generate positive backlinks and can be a great Booster for your SEO. This is the perfect blog for anybody who really wants to understand this topic, thanks for the sharing. Even after reading the blog, I was in a confusion that blog commenting is effective or not but after going through the comment section, I found myself checking the websites of those who commented very well. So, yes blog commenting is not dead and will never be, but only if you post comments effectively. Absolute beast of a content for such a small topic Al-Amin. I completely agree that rather than trying to build links we have to add value to content through comments. Adding value could make us stand out in the niche and ofcourse traffic is secondary to that! Very well explained. I really appreciate the insight here in this post and confident it’s going to be helpful to me and many others. Thanks for sharing all the information and tips. Blog commenting is still a great way to get traffic and get valuable backlinks, if you will do relevant blog commenting. great article, the article covers all the do’s and dont’s . tahanks for sharing this amazing artcile . It is very well explained and easy to understand. Discussed great advantages of commenting for SEO and SERP climbings. I have come to know that quarter part of the SERP rankings is because of proper blog commenting. As per my experience Commenting posting is outstanding amongst other approaches to manufacture backlinks additionally an incredible method to construct group. I would extremely appreciative of sharing the article from the blogger’s purpose of view.Getting associated with the discussion can likewise improve my imparting expertise. Thankyou Marketever For Your Nice Article About Comment Blogging, Its Helps Me A Alot. Commenting is the easiest way to make some links and it can increase links diversity and most importantly number of links! I am used to make comments but I have question regarding that! Should I use same name all the time I comment or I can use different name while commenting? waiting to hear from you? Thanks for the resource full post. I am learning from your blog.Good job bro, Keep posting and share your valuable tips with us. Nice work on this article. I don’t comment on many blogs, but I do try to find some to read and comment on occasionally. Another tip you could add is “how to find blogs that accept comments”. This article came up top, and I have to say it merits that position. Awesome piece to Read. Check out Michael Angelo A Place Where Authority On a topic are Paid for sharing their hard earned knowledge. Blog commenting is still very valid technique. We all know it was once almost abandoned, and probably still some “experts” think commenting considered as a spamming, but if the comment is relevant, it still works well and it actually drive real traffic from the comment. I think that blog commenting has extra juice if it is done right. Thanks Kabir for writing such a good article in the form of tips for seo of a website. It is not clear how many ways a seo can be possible to viral a Domain or URL. People always try direct method but most of time these trick don’t works for SEO. Your tips are helpful for the person to make good website optimization for me and my websites or blog. This content is so valuable and surely unique that people are happy and really helpful for them. any pressure from your side, neither in the form of request nor hint or reminder in any ways. Excellent Post, very informative. Would love more similar content posts in the future for Interesting insight! I think the important thing to take into account when your are making blog comments is to make them natural. Google frequently says things don’t impact ranking when they really do. They are trying to reduce abuse, and therefore results are more muted, but still help. Even if it is just adding pillowing, or link diversity it can benefit your site. 1. Make sure the blog that you are commenting on is very much related to your niche. 2. You want to spread them out over time. 500 blog comments in 2 weeks just isn’t going to look authentic to Google. 3. Don’t always just use your money site as your link, spread it out among your primary social profiles to juice them up a little bit as well. After reading your blog post, I have understood that How to do blog comments and get quality traffic to our site. I read Neil Patel blog posts few days ago… He said blog commenting is not helful in google search ranking. Is it true? Hey! There nice post. As per my opinion blog comments are very good for search engine ranking, traffic generation, and brand building when you get it from very authoritative website which has good trust score. Really Fantastic blog article, come up very well. Most of the blog commenting, we will get do follow links, so this will help in rankings. This blog commenting is more useful for engagement, if one who interested in that article then only they comment on their website. and most of the people first read on the comments section to know that article. I think commenting has an important role in blogging. It can help the blogger get constrictive criticism, or even ideas for new blogs based on the questions the commentators make. Great post! Very useful information. Blog commenting is now very much popular among bloggers. It helps to bring traffic to your site and generate backlink. Hey, just wanted to assure your writing. I made a blog in Hungary and only have a few blog comments to it and it ranks for many keywords in top 10 at google. Sometimes I even catch 1st or 2nd places. Hello, Amin, I would really thankful for share the article from the blogger’s point of view. Your article was really helpful for beginners I am also new in this field. It seems that many people don’t recognize the power of blog commenting because they do not see the direct benefits. I would guess this is more the result of spam riddle comments or attempts to blog comment on site that are totally unrelated to the subject of the commenters site. Google loves relevancy, or so it seems, so blog commenting on a site about bicycles when you are talking martial arts isn’t going to do much for anyone. Blog commenting is one of the method to improve SEO. I have read many articles on commenting but your article showed a proper way of working on it. Great post! Very useful information. Blog commenting is now very much popular among bloggersBacklinking is a killer any day, any time for traffic generation. Thanks to the author for finding time to share this great article. Love this post! I wish more people would read this, you offer some really good suggestions on best practices for blog commenting. Commenting 2-3 words is of no use. Poor comments irritate moderator. I think that commenting on blogs is the win-win strategy. Both author and commentator receive bonuses. Also, it helps to build business reputation for both. Smart, informative and relevant! I must appreciate the effort taken by the writer of the post to explain how writing blog comments is helpful for getting traffic as well as higher SEO ranking. The pointers explained are actually relevant and I thanks for sharing such wonderful piece. Expecting some more useful posts in future also. Is this still relevant for today? Or have things changed? What I’m curious about is how this will carry out, like what will the trend be for this type of stuff? Whenever you are designing a website, If it is a e-commerce website or any website that is product specific or business oriented then you will have to make the as much as possible advertise so you can sell your products easily. I agree that Blog Commenting is not dead yet, but how powereful is the backlink we get from it? Also, we see that most of the website today doesn’t keep the scope to get backlinks from it by Commenting. So, what will be the best strategy to get backlink then? Bloggers are smarter than before and never approve comments that contains Link. Any suggestion on this? Great post, Thank you! I spent a lot of time researching exchanges and waiting to get verified on my account. Expect Talent Magnifier’s Basic Computer Training Courses For Freshers -Enroll Now – Free Demo Classes. Backlinking is like the best way for organic reach and awareness about the content produced to generate leads and having a great chance to build backlink.